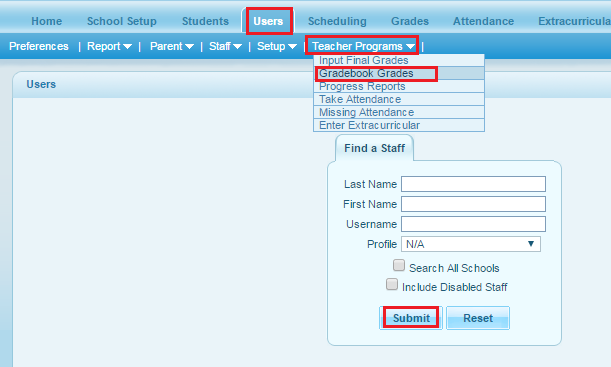 To give Gradebook Grades admin has to follow this path Users >> Teacher Programs >> Grade Book Grades. Then it will give a search box. Search for the particular teacher with the criteria or do a blank search to get the list of teachers in the school. From the list of teachers, select the particular teacher. You will get a screen where from the top left hand corner you can select the Course Period. Now, gradebook grades can be entered in three ways here. 1) Selecting the All view from the drop-down enables the teacher to enter grades for the students in all assignments at the same time. 2) If you want to enter grades for a particular assignment, select that assignment from the drop-down list and grade the students for the selected assignment. 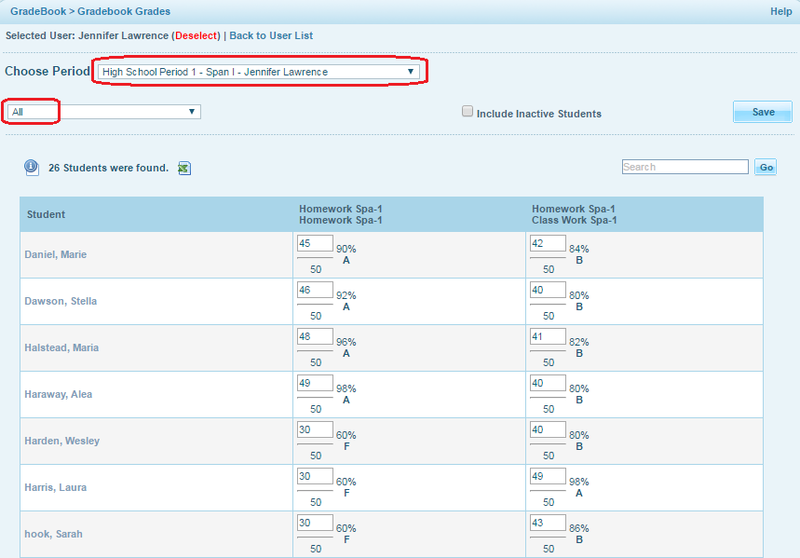 3) The Totals View shows the assignment score total with respective letter grades. Also you can click on a student's name from any of the views and enter grades for the selected student in all assignments. 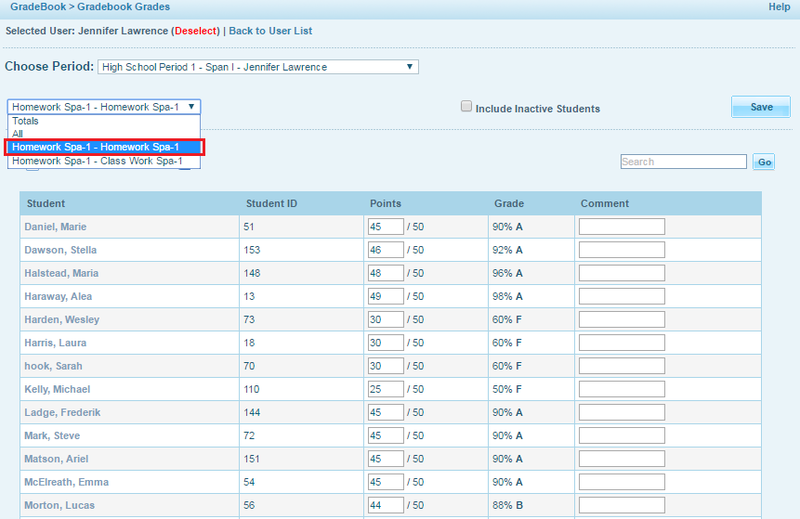 Admin can enter the grades or edit them if the grades are entered by the particular teacher in the same manner. After Admin gives the grades he will have to click on Save to keep the changes. NOTE : Admin can't create assignments. If only a teacher creates it from his/ her log in, then admin can grade them.